Usually, I find the big red E in the middle of Main Mall. 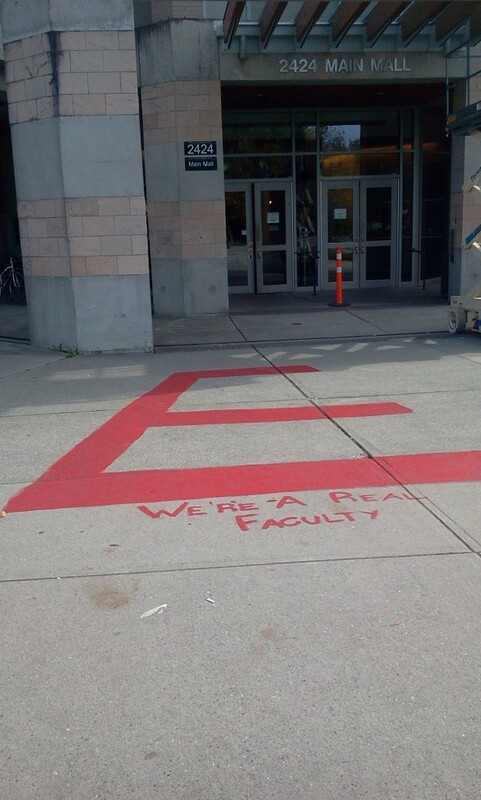 The big red E, symbolic of engineering at UBC, is painted onto a somewhat pyramid-like concrete structure that is large enough that you don’t want to lift it yourself, and shows as large of an ego of engineering that other departments want to paint over it out of jealousy – or so I am told. This morning, I took my usual walk from the Thunderbird residence to my lab in the ICICS building. Including the time I take to pick out and put on my shoes to laying down my bag on my lab desk area takes only about 3 minutes. Literally. So my morning walks are usually not very eventful other than me noticing something about the weather or seeing how full or empty the parking lot near the Forestry building is. But this morning was a little bit different. I found the big red E on the entrance of the forestry building. Yes, it’s true, and here’s a picture evidence to prove it. The place where the big E was found this morning. But what I read at the bottom of the big red E made me laugh. It said “We are a real faculty”. Of course we are, I thought. And we are a faculty with a sense of humour! I am guessing that Forestry took over the big red E in the Main Mall recently, and the engineering students are trying to get back at them. Regardless of what the behind story is, I think it’s fun to have such a tradition, and a symbolic item for our faculty. It gives me a sense of ‘fun’ and ‘community’, and a somewhat eventful mornings even in my three minute home-to-lab walks. 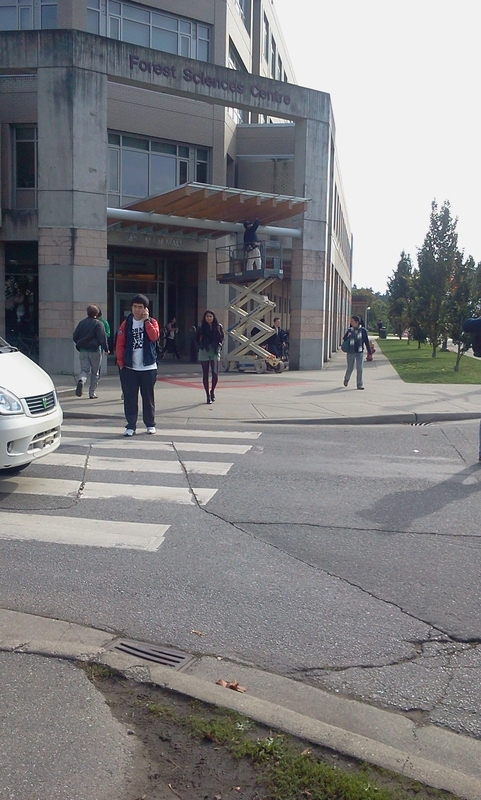 This entry was posted in I <3 Engineering on October 14, 2011 by AJung.